The caption on this in the Independent article read: “The Haavara Agreement does not mean the Nazis were ever Zionists.” That’s true – but nobody, least of all Ken Livingston, has been arguing that they were [Image: Hulton/Getty]. Claims that Hitler was a Zionist, or supported Zionism, before his anti-Jewish policies turned into murder and extermination flare up at regular intervals. So there you have it. Schulze is peddling a misinterpretation of the facts. He should be barred from participation in this debate. … What? You think that’s harsh? You think he has a point because, after all, didn’t Livingstone tell Vanessa Feltz that Hitler supported Zionism? He did. But supporting a cause in a particular project and being a member of that cause are two separate things – as I explained to Schulze, on Twitter, on Saturday. To get the point across in the easiest way, I used an analogy. Suppose an atheist attends a ceremony at a Catholic church and pays into the collection, I tweeted. Is that person a Catholic or just supporting them? “He might just be supporting the particular purpose of the collection of that particular Sunday,” responded the great historian. “Or indeed, the particular people in that particular church and congregation,” I concluded. The meaning was clear – that Hitler was not a Zionist, but that he did support the German Zionists in that particular project. Rainer Schulze did not dispute that – he went away, in the same manner that Hugo Rifkind did after I so roundly defeated a false claim by him. I had hoped that he had accepted my point, but then his article appeared in the Independent. Ah well. Ken Livingstone never said the Nazis and the Zionists shared a common goal, if by that we are asked to assume the goal was a Jewish nation state. But the German Zionists came to the Nazis with a proposal for Jewish people to leave Germany at a time when the Nazis wanted that to happen, and the Nazis supported it. In that sense – and that sense only – they were supporting Zionism. That is what Ken Livingstone said. And no, I’m not twisting his words or adding interpretations that aren’t there. I leave that to people like Rainer Schulze. And that’s why he should be excluded from this debate. I think you’re dancing on the head of a pin here: Ken Livingstone did a) drag Hitler into a discussion in which there was no need to have done so, thus making Naz Shah’s predicament at least ten times worse, and b) did say that Hitler had “supported Zionism”; not that he had given his tacit blessing to a particular project, which is what he actually did, but that he supported Zionism. You’re right to say that this doesn’t mean LIvingstone is anti-Semitic, but then you also have to ask what Zionism and anti-Zionism actually mean today. For some, the latter means they don’t believe that Israel should exist as a state – this makes anti-Zionism and anti-Semitism extremely difficult to separate, since the majority of Jews have a commitment to supporting – that word again – the state of Israel. KL has made a bad situation worse, as he has a capacity for doing which he has demonstrated before. I don’t think he should be expelled for it, but why does he launch an expedition to every broadcaster he can reach and then evince surprise at what his words have stirred up? In fact, Vanessa Feltz dragged Hitler into a discussion in which there was no need to have done so. You’ll remember (and if you don’t it’s on YouTube so you can refresh your memory), she was trying to get Livingstone to condemn Naz Shah over the image that, she claimed, implied a desire to transport the state of Israel into the USA, and over another image with a quotation mentioning Hitler. Feltz hadn’t bothered to do her research so didn’t know that the former image was a response to genuine calls for Palestinians to be forcibly removed to Jordan or Saudi Arabia, and didn’t know that the quotation was by Martin Luther King and meant something completely different from her interpretation. Mention of Hitler together with the transportation of Jews led Livingstone to point out that Nazi policy in the early 1930s was to move Jews out of Germany, which they did via a deal with German Zionists. It seems likely he was trying to point out that there is a world of difference between a tongue-in-cheek image suggesting something that will never happen and the reality of what did happen in the years before World War II. After describing the agreement between Zionists and Nazis, he did say “so Hitler supported Zionism”, but it would be totally disproportionate to suggest he meant this to be taken in any way other than regarding that single project. Where’s your evidence that he did? I reject your comments about Zionism being inextricably linked with Jewish identity. That is something that I can see anti-Semites trying to use against Jews, because of the unacceptable behaviour of Netanyahu’s Israel. Anti-Zionism, anti-Semitism and opposition to the state of Israel are not the same. It is perfectly possible for an anti-Zionist not to be an anti-Semite. It is perfectly possible for a Zionist to oppose the actions of the state of Israel. I can’t argue that Livingstone hasn’t contributed towards worsening the situation, but I do think that would have happened in any case, because the media personalities involved deliberately failed in their duty to find out what was actually going on and opted instead to present a distorted story to the general public. I have no particular love for either Livingstone or Naz Shah. My concern is with the facts. I wish a few others in the media felt the same way. I hope the following comments will not be excluded from the “anti-Semitism” debate. (I wonder if Ken Livingstone – who did not say Hitler was a Zionist – would accept all these comments)? The Haavara agreement was one early way of dealing with the Jewish “problem”. 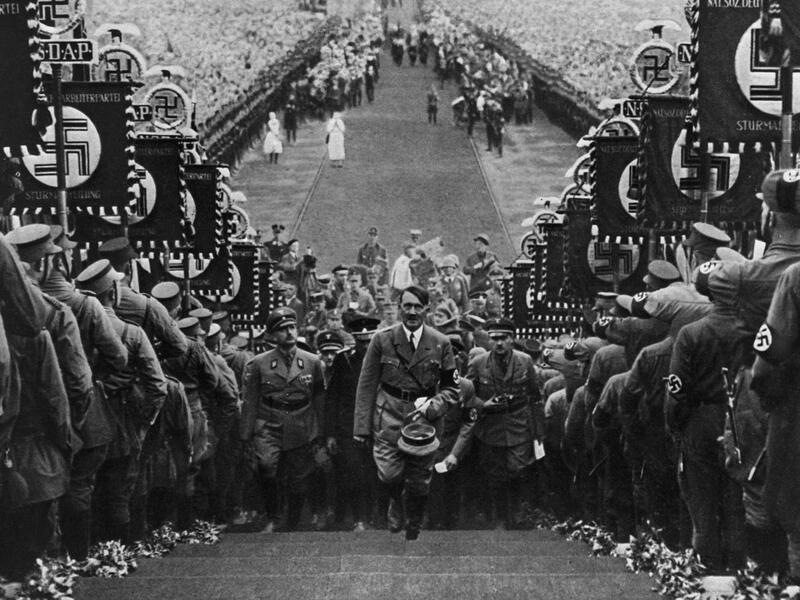 Hitler saw it as a means of getting rid of Jews from Germany, and bolstering the German economy at the same time. The Jews were able to take some of their assets and go to Israel but only in the form of German exports to Israel. When Hitler invaded Poland in 1939 he stopped it. There was no love for the Jews behind it but simply a fear of an economic boycott of German goods if he simply robbed the Jews of their money. It was political expediency not approval of Zionism. Hitler hated Jews and once he felt secure he killed the Jews in the gas chambers and took all their money. Nowadays, people have far more freedom in Israel than in Saudi Arabia, Iran or Egypt. Christians can build churches and Muslims can build Mosques in Israel. But in Saudi Arabia, Christians and Jews have no freedom of worship. In Iran many Christians are in prison. Jews are criticised for occupying Palestine, yet they have lived there for 1000s of years. There is little criticism of Turkey for occupying part of Cyprus, Russia for occupying part of Finland and the Chinese for occupying Tibet. I wonder why that is? When the Jews took over Palestine it was a wilderness. Many people wouldn’t approve of everything the Jewish government do, but the Jews have a right to exist and when surrounded by those who wish them destroyed and constantly under attack from terrorists, extreme measures are sometimes required. Many Palestinians are doing very well in Israel and they are enjoying economic prosperity and some are even members of parliament. The main problem is that the Jews are hated. Why? Because of their intelligence, financial success, abilities in business, in science, etc. Jealousy and covetousness was behind Hitler’s hatred of them too. We don’t hear the same amount of criticism of the Australians who occupy the land of the Aborigines. Hitler had to stop the transportation of Jews to British Mandate Palestine (as it was at the time) because Britain had declared war on Germany. Nobody has said there was any love of Jews behind the agreement in any case. Your claim that there was a fear of a boycott of German goods if Hitler robbed Jews of their money is an interesting slant on the story but, to be honest, I think he was already carrying out such actions against Jews who were not being transported; the agreement meant the boycott had to be lifted. Nobody mentioned approval of Zionism. There was support for it inherent in the agreement. Two different things. Do Palestinians have freedom in Israel? If so, why are they kept behind walls? In any case, you can’t argue that Israel isn’t so bad because other countries are. Two wrongs don’t make a right. In your opinion, Palestine was a wilderness in the 1940s. What do Palestinians say? Jews do, indeed, have a right to exist. They don’t have a right to endanger anybody else’s existence, though. The main problem is not that Jews are hated, because they aren’t – except those in the Israeli government that prefers aggression to peace, and supporters of that government (and even then, only for their support of policies of hate). You’re right that we don’t hear criticism of Australians over the way they have treated Aborigines – or Americans over the way they have treated native Americans… which brings us back to the image that Naz Shah retweeted, which superimposes one country where the government wants to displace the native people onto another country where the government has already done so. 1. When I visited the Yad Vashem Museum in Jerusalem, I was struck by a tiny exhibit which no one else seemed to notice. It was a railway ticket – one way – from any railway station in Germany to Palestine – fourth class – for any Jew wanting to leave Germany. I was not sure what to make of the exhibit and carried out research – mainly on-line – after my return to Britain. I found – eventually – a reference to the pseudo-ticket, stating that they were apparently handed out to Jewish-looking people (however that can possibly be defined) by Nazi Party members on the streets around railway stations during the 1930s. This does suggest that official Nazi Party policy was to “encourage” Jewish people to leave the Reich and the Ha’avara (Transfer) Agreement between the Zionists and Nazis was an extension of that same policy. 2. Hitler remained a church-tax-paying member of the Catholic Church in Germany right up till the moment he committed suicide in the Fuhrerbunker in 1945. What interests me most about that is the similarity between the policy of “encouraging” Jews to leave Germany in the 1930s and the vans that Theresa May had patrolling London, “encouraging” illegal immigrants to give themselves up and “go home”. Of course, the “encouragement” didn’t just stop at illegals – anyone who “looked foreign” was likely to get the third degree at the time. Remember that? Yes, Mike, you are absolutely right – I had forgotten about that. However, it may well be a stretch to conclude that Mrs May learned from the Nazis. Still, eerily coincidental, it has to be said.